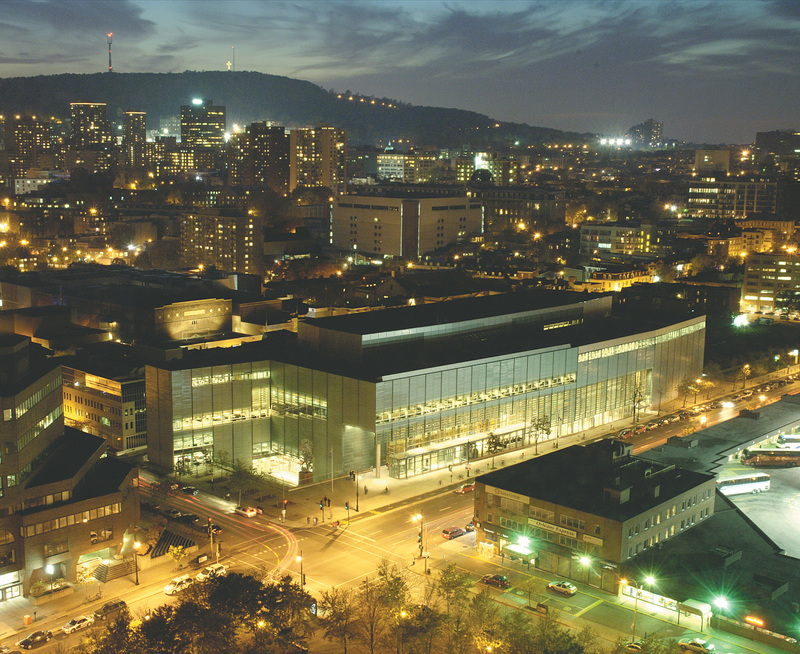 The Grande Bibliothèque is a central library for the province of Québec. 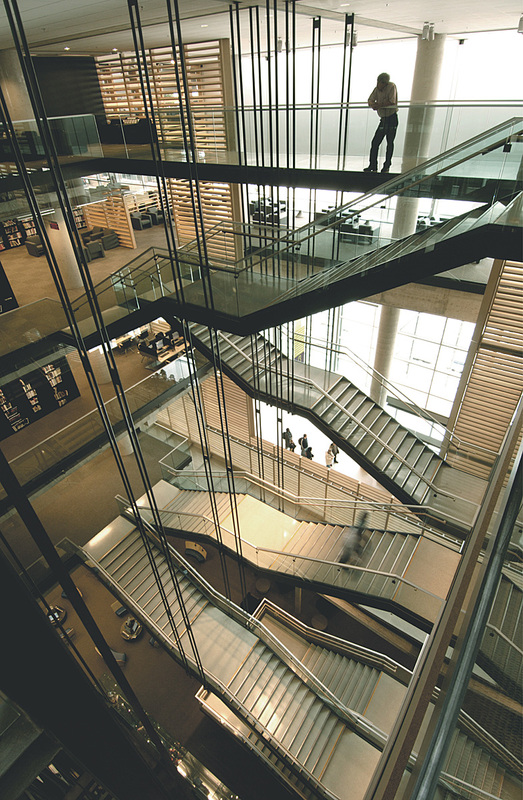 Located in the Latin Quarter of Montréal, the building consists of a general library, a children’s library, the collection Québécoise, and a variety of public spaces. The two major collections are housed within large-scale wooden containers, each with different characters. 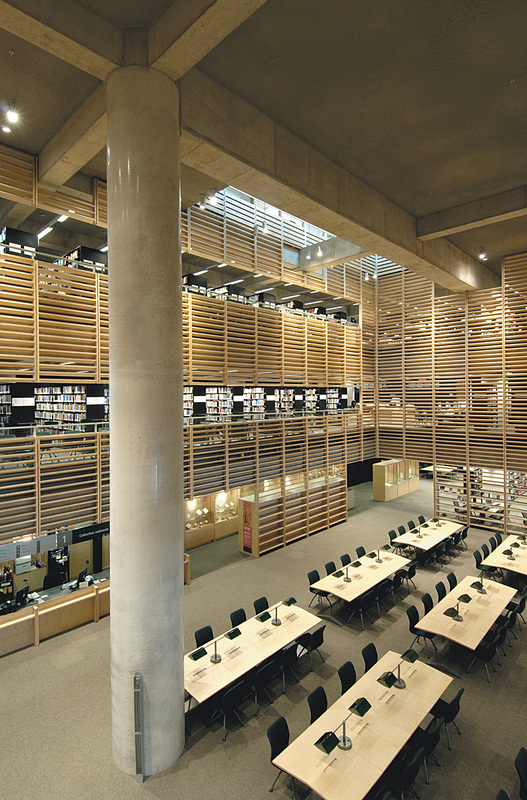 In the general library, collections are centrally located, with reading spaces at the perimeter and access to view and daylight. In the collection Québécoise, reading spaces are centrally located, in a top-lit grand room, with collections at the perimeter. 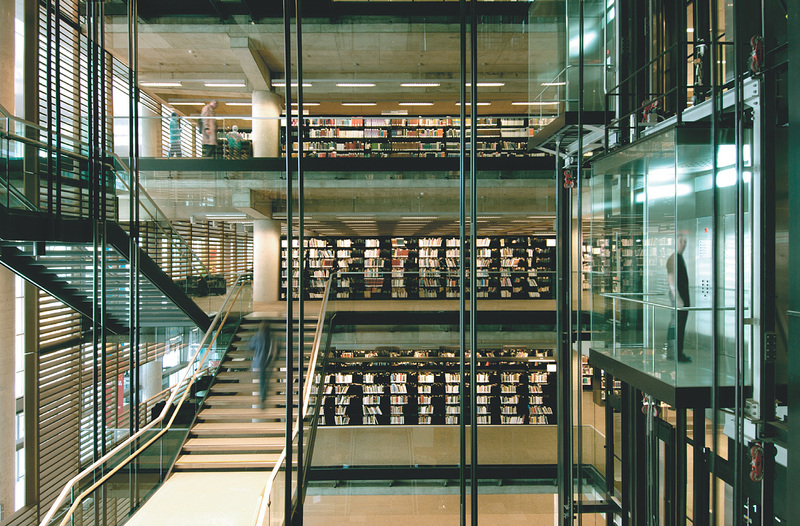 "In La Grande Biblioteque the architects have deftly controlled a complex and dense program to create a civic landmark as well as a unique pedestrian urbanity that has been teased out through the manipulation of the ground plane. 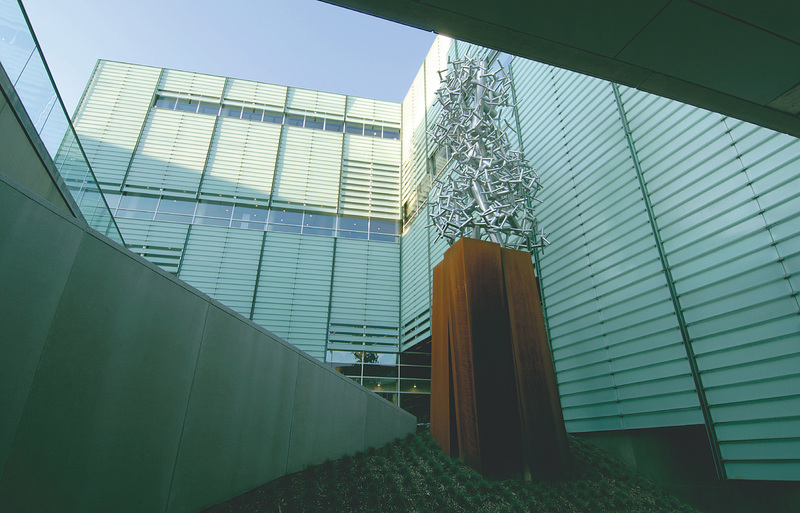 Nearly as important as the collections themselves, these paths that permeate the project from the metro and surrounding neighbourhood grow to encompass café and reading rooms that bring urban life up through the building behind the veil of the wood screens and slatted façade." "A very simple structural grid gets transformed using two methods: elimination of structural elements and sections of slabs, creating rich carved spaces, like the vertical circulation and reading rooms and the insertion of programmatic pieces creating a tension between open and closed spaces. A promenade architecturally takes you through wood clad collections to unveiling city views making it an architectural icon in the city." photos: James Dow / Patkau Architects Inc.